Action RPG MMO Shooter 2017-08-10 Star Trek Online is a sci-fi-themed MMORPG that features epic dogfights in space, a wide variety of alien species and encounters, as well as cool forms of futuristic space travels, set in the iconic Star Trek universe that many love and enjoy in the time period when the Klingons drive to expand their empire came into conflict with the forces of the Federation. That's not all, the Dominions are also seeking to wrestle Alpha Quadrant from the Federation and apparently, the Borgs have returned as well! 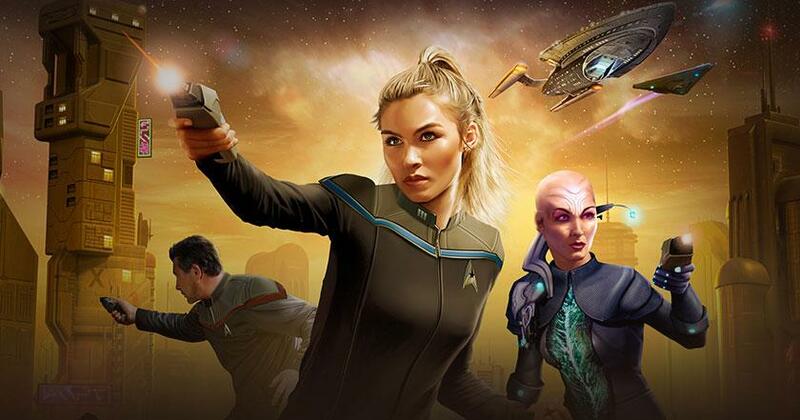 With so many moving pieces in play, Star Trek Online is as rich in its storyline as in the popular TV shows and movies. THe gameplay is incredibly immersive too. In this game, you'll get to pilot/command your own starship, customize it to your liking and set off to the farthest reaches of the known galaxy fighting opposing factions, both AI and players alike.